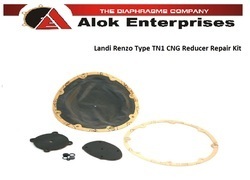 Providing you the best range of landi renzo diaphragm tn1 cng reducer (vaporizer) repair kit, landi renzo diaphragm ig1 reducer (vaporizer) repair kit and landi renzo diaphragm se81 reducer (vaporizer) repair kit with effective & timely delivery. 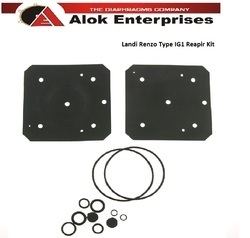 regeneration kit of diaphragms, membranes, sealings, filters for Landi Renzo IG1 autogas, LPG reducer, regulator, vaporizer. All parts included in the kit are visible on photo. It is reccomended to exchange rubber parts of the reducer around every 50.000miles. Regeneration kit of diaphragms, membranes, sealings, filters for Landi Renzo SE81 autogas, LPG reducer, regulator, vaporizer. 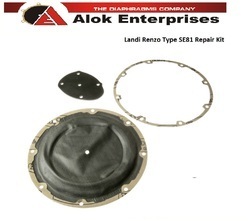 Looking for Landi Renzo Diaphragm Repair Kits ?